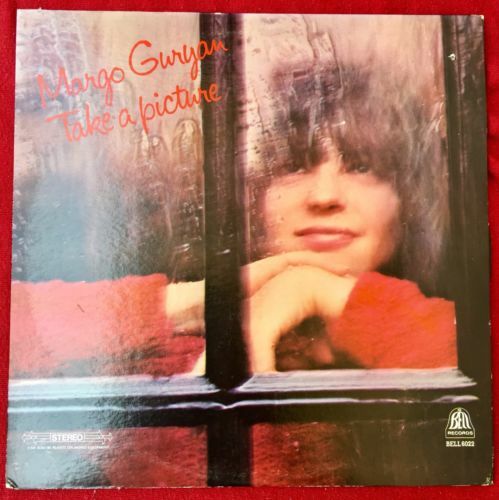 Margo Guryan Lp, Take A Picture, Original Press, Folk / Psych Bell Records, EX! This is NOT a reissue! Up for auction is one of the holy grails of Folk Psych. This record is mega rare, and only comes up for auction every few years. Margo Guryan “Take A Picture” Bell Records #6022, Stereo pressing. 100% Authentic, mega rare, first press! Top copy, a solid Excellent condition. No scuffs, no scratches or warp. Record looks Unplayed. Plays perfectly! (Some might say “Near Mint” condition) Label has zero spindle marks and is clean. Cover in Excellent condition as well minimal wear on corners, spines in wonderful condition, no splits. SMALL DRILL HOLE UPPER RIGHT ON FRONT. No bends to cover. This as an entire package is in wonderful condition. I’m a fellow record collector, not some grandma listing rare records, I would be really pleased with the condition on this extremely rare lp. See my other listings, I’m putting a few other rare “Folk / Psych rare LPs. No reserve auction only, no buy it now offers accepted. I do combine ship wait for invoice before payment. Record will be packed really securely. Poly bagged, lp out of the jacket and packed in between layers of cardboard. Any legitimate questions are welcome, send me a message.